These days we are all making an effort to make our lives greener. We take public transportation instead of driving, recycle newspapers, cans and bottles and install programmable thermostats in our homes. Did you know that there are also a variety of ways that you can make your move greener without spending a penny? At My Move we wondered how much paper, oil, water and energy could be saved if we all recycled our moving boxes instead of throwing them out after settling into our new homes. 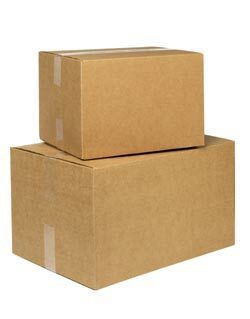 The average person moves 11 times in their life and uses 660 moving boxes. Think about how many trees you could save if you recycled or reused all of those moving boxes instead of throwing them away. You’ve made your home greener; why not make your move greener too? Visit My Move today for more tips and guides to help you make your move quicker, easier and greener. For more great infographics, as well as tips, deals and guides (including our interactive hoarding quiz) to help you make moving to a new home stressfree visit www.mymove.com today!